This weeks Texture Tuesday with Kim Klassen is the Simplicity eDition, simple as using one of our original photo’s and tweaking it with Kim’s fabulous texture Simplicity. Hydrangea’s have always been a favourite of mine, but have never had them in my garden..these were snipped from the neighbours garden. Just Beautiful, they remind me of my grandmother. It looks like a painting; beautiful! Oh my goodness me Yvette, these remind me of my grandmother too! She had them growing in her front garden. The texture over the hydrangeas is beautiful – but oh boy – adjusting the light and shadow – really terrific! Such a nice reminder of Summer. I have them growing in my front garden and look forward to seeing them bloom each year. I have them in my garden and love them, but they are very fussy growers. hydrangeas are one of my alltime favorites! they also remind me of days long ago, but i think their charme is unbroken. wonderful photos! Keep up the beautiful work! 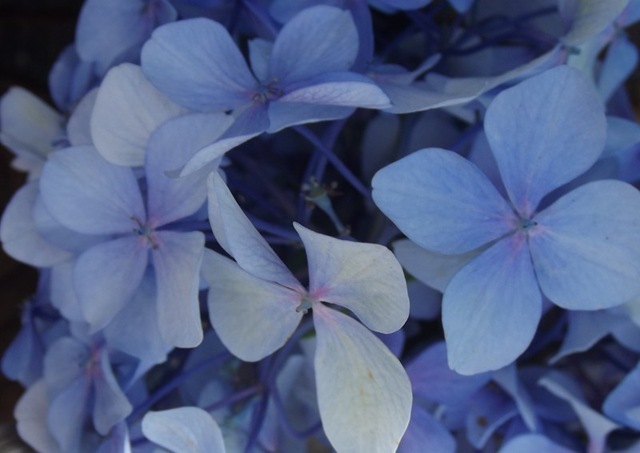 Your Hydrangea’s look perfect and it’s wonderful that they remind you of your grandmother. Very, very sweet thought. How beautiful! 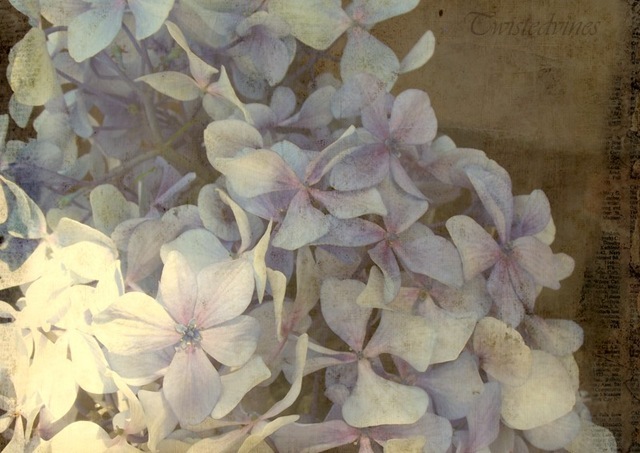 Hydrangea’s are one of my select favorites and so is Kim’s Simplicity! Very beautiful – my mother has them and I have a wonderful hydrangea which my sister in law gave me as a cutting. They are lovely old fashioned flowers! These are beautiful; I’ve always loved hydrangeas, and have never grown them either. Isn’t that what we have neighbors for? One of my favorite flowers, so beautifully done! Beautiful photos, Yvette, especially the first one!